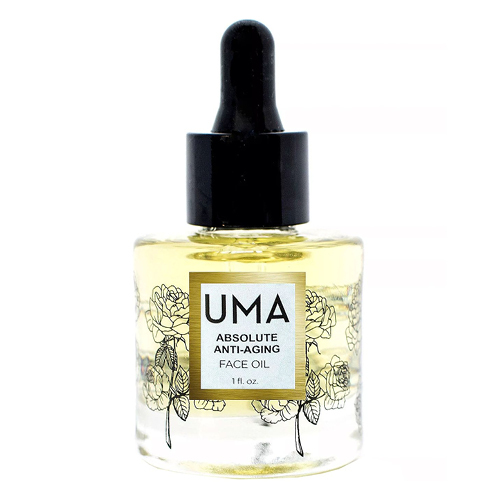 The Absolute Anti-Aging Face Oil by UMA Oils improves the appearance of damaged or dry skin with an ultra luxurious blend of nature’s most potent botanicals. Infused with essential oils of frankincense, Juniper berry, sandalwood and Vitamin C-rich orange, it gives skin a protective feel against the effects of age and environmental factors; revealing softer feeling skin, and a brighter more youthful-looking complexion. This ancient traditional formula, designed to promote a sense of graceful aging, is 100% organic and single estate grown, distilled and bottled in India. Crafted in a base of pomegranate seed oil, makes for a highly moisturizing, non-greasy and nutrient rich effect. While vitamin-rich essential oils diminish the look of fine lines and age spots; leaving skin feeling smooth with a vibrant appearance.